The festive season at Heligan always sees the Gardens and Estate burst into joyful merriment with a collection of events set to bring everyone together. With the days growing colder, why not warm chilly toes by the wood burner in the Heligan Kitchen and enjoy a traditional Christmas Lunch served with all the trimmings. Festive Feasts will be served from Monday 3rd December until Friday 21st December (except weekends). 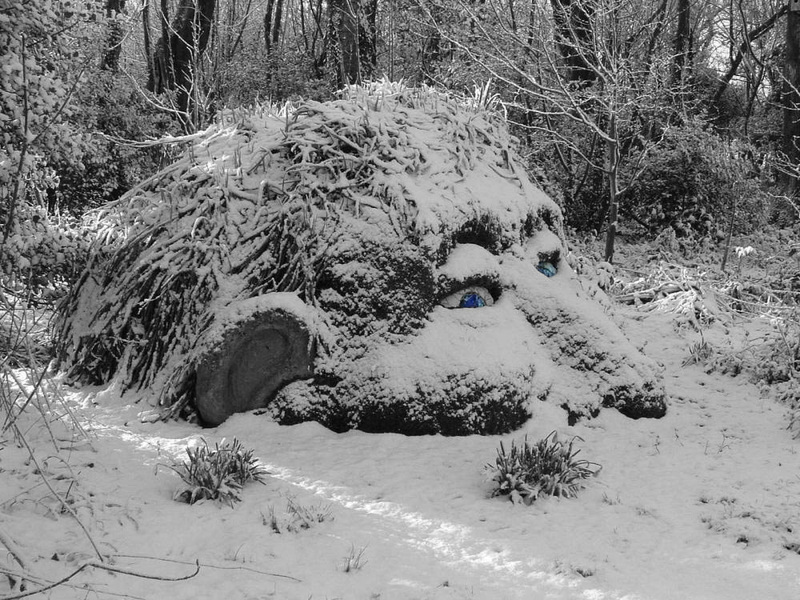 Saturday 8th & Sunday 9th December, sees Heligan welcomes back its annual Christmas Fair. Heligan’s ethos shines through as some of the best local producers, artisans, creators and makers, producing unique food and drink, jewellery, art, ceramics and more, showcase their wares. Mulled wine and delicious seasonal treats will be available from the Heligan Kitchen, and with well over 100 stalls, this year’s fair looks set to be the largest yet! Entry Free to Heligan Annual Members; £1 to Local Pass holders & £2 everyone else – incl. garden entry. Father Christmas will once again be occupying the Head Gardener’s Office, where the whole family can meet him by the log fire and receive a beautiful traditional gift! Children (of all ages) can write and post their letters to Father Christmas between the 15th-24th December, as well as trying their hands at Heligan’s Christmas workshops and following the magical Christmas Trail around The Lost Gardens. Throughout December, internationally renowned light artist Ulf Pedersen returns to The Lost Gardens of Heligan to reveal more of the night time magic of Heligan’s historic plantings. 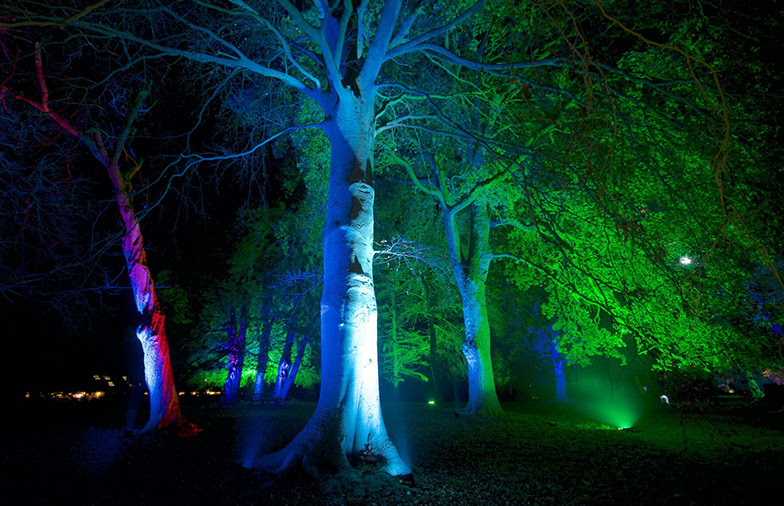 Check out the Website www.heligan.com for timings and dates between 12 December and 5 January 2019, then come down to the Lost Gardens and journey through an after dark world and delight in the incredible textures, colours and atmosphere created by Pedersen’s thought-provoking illuminations. 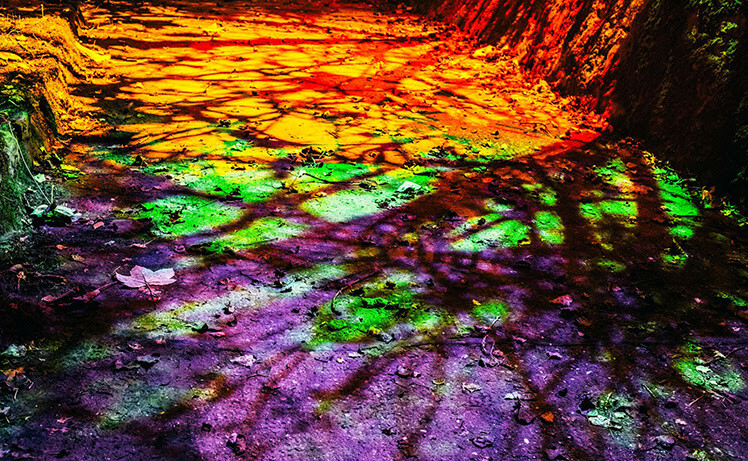 New for this year Heligan will also debut a selection of Pederson’s unique sound and light installations, creating a dazzling nocturnal immersive experience. Ulf works closely with raw materials of the site, using light and colour as his essential tools, often combining these natural or architectural elements with new architectural forms he has designed. Over 15 years he has travelled internationally bringing his work to locations from Oxford Botanical Gardens to Australia, New Zealand and Hong Kong. Tickets for the event are £6 per person and are for timed ticket slots. Remembrance Sunday holds a special place in the hearts of those at Heligan as they continue to remember the ‘Lost Gardeners’ of the pre-1914 Heligan Estate. This year, Remembrance Sunday is all the more poignant, as it marks the end of the centenary period. As the clock strikes 11, visitors will be invited to join Heligan staff in the Melon Yard to observe a two minutes silence. The ceremony will include a dove release and conclude with a live musical performance. Then, at 11.30am a brand-new art exhibition ‘In Their Name: Don’t Come Here to Sleep or to Slumber’ by South African artist Lize Krüger, will open in the newly restored, Gardeners’ Bothy, previously unseen by visitors. ‘In Their Name: Don’t Come Here to Sleep or to Slumber’ is a collection of three stunning artworks all brimming with deep symbolism and meaning; portraying the inter-relationship between the garden and its men and conveying the resilience of the garden, its gardeners and soldiers. A bright young volunteer in the Gardens team at Arundel Castle has been recognised with a Certificate of Commendation at The South & South East in Bloom Awards 2018. 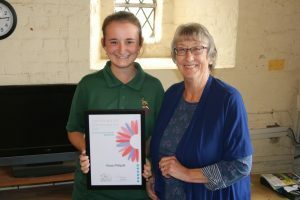 Rose Philpott, 19, was presented with the commendation at Arundel Castle by gardening guru Jean Griffin, a President of the Kew Guild and BBC Radio personality. The judges examined nearly 300 entries before selecting this year’s winners. Rose first joined Arundel Castle’s Gardens team on a work experience placement and quickly became a regular volunteer. She spent the summer holidays employed by the Castle, caring for its eclectic mix of gardener’s favourites and more unusual plants, from tulips to tamarillo and, of course, plenty of roses. Now, Rose studies horticulture at Plumpton College near Lewes and spends one day a week gardening at the Castle as part of the practical work experience for her course. Arundel Castle is open from 10am until 5pm, Tuesday to Sunday until 28 October 2018 and will reopen to visitors on 02 April 2019. For more information on the Castle and its events calendar, please visit: www.arundelcastle.org. Meander round a medieval barn, wander among works of art and get away from it all in Essex’s inspiring gardens and historic gems. In the heart of the county, September sees the return of the Chelmsford Heritage Open Days (8th to 11th September) with a host of properties again welcoming visitors and offering free admission. Highlights include access to the grounds of Pleshey Castle, tours of Hylands House and joining in the open days programme for the first time this year, Writtle Agricultural College and the Little Baddow History Centre. For more information, visit www.heritageopendays.org.uk and search events for ‘Chelmsford’. A palace in all but name, Audley End is not just one of Essex’s grandest country houses but one of the nation’s. Amongst the Jacobean splendour, the history of the house and people who lived and worked there down the centuries is brought to life, and this summer the whole family can experience a series of events centering upon the wonderful Victorian stables. As well as a new weekend stable yard timetable, there will be marvellous monthly horse shows on the first weekend of the month, until September. Find out about the life of a horse on a Victorian estate, from the elegance of carriage driving to working in harness. The resident horses and their visiting friends will be on hand to demonstrate the horse work that would have taken place at Audley throughout the 1800s. In nearby Saffron Walden, tucked away amongst the medieval market town’s picturesque back streets is Bridge End Garden. Consisting of seven, lovingly restored interlinked gardens, Bridge End is a Grade II-listed evocation of the Victorian taste for both formal and practical horticulture. In the case of the former, visitors can delight in a knot garden, complete with hedge maze (the largest in the world), whilst the latter reveals the 19th century diet through the garden’s herbs and vegetable plots. www.visitsaffronwalden.gov.uk for more information. The exotic-sounding Forgotten Gardens of Easton Lodge are a ‘must’ for romantics and keen gardeners alike. 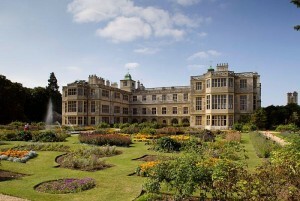 Easton Lodge was originally built by Henry Maynard, former Treasurer to Queen Elizabeth I. His mansion followed the ‘H’ ground plan, typical of the era but was destroyed by fire in 1847. A gothic pile replaced it, which came to Frances ‘Daisy’ Maynard in 1865. Renowned as a great beauty, Daisy was courted by European aristocracy but eventually married Lord Brooke, the Earl of Warwick. In 1902 she commissioned Harold Peto to redesign the grounds and he did so by bringing his passion for Italianate and French designs to Easton Lodge. These were greatly feted and much photographed during the Edwardian era, but the Second World War saw the estate requisitioned by the War Office and transformed into an airfield. Thousands of trees were either felled or blown up to make way for a runway and to create a base suitable for bomber aircraft. Whilst Copped Hall is another great house that fell victim to fire and abandonment, it too is now enjoying a renaissance thanks to volunteers. Reflecting its Tudor, Georgian and Victorian past, the once splendid hall’s gardens are undergoing restoration and visitors can get a sense of the house’s once majestic lawns, parkland and walled kitchen garden; produce from which – including fresh vegetables, fruit and flowers – can be bought on site. Do you need some gardening done? Need work doing in your garden? Don’t want to spend hours ringing round getting people to come and give quotes. MyBuilder website takes away all the stress and strain of getting people out to do the work you want doing. Describe what needs to be done – give info on what sort of fencing, groundwork, lawn or tree cutting you need doing. Leave Feedback so people know how you got on! Your review matters as it helps good workmen get the recognition they deserve! Sunday 12th May 10 – 6. Cosmeston Lakes Country Park, Penarth. CF64 5UY. Free entry to fair and Medieval Village, and free parking. Saturday 15th June 10 – 4, Old Hall Gardens, Cowbridge CF71 7AH. Free entry and parking. kippers straight out of the oil drum that they are smoked in. sausages from the butchers shop there, plus a brushmakers. in a hall in a dry dock is worth visiting too. The weather this year has probably stopped you enjoying your garden as much as you should have done. Why not invest in a conservatory that you can sit in and enjoy full views of your garden whatever the weather. A conservatory is a great addition to your house and garden, making a space that joins the two so well. Request a brochure from Breckenridge Conservatories and find out more about their range of superb conservatories. Fantastic products at Original Organics and with a brilliant invention here for making compost quickly. There are several composters that allow you to rotate the container which speeds up the process by mixing everything together. This one is the cheapest I’ve seen and it does it by being rolled on the ground so there’s no complicated set up. It’s certainly an interesting idea and I think something people would all like to try. If you can make compost in 6 weeks with a little effort then that’d be fantastic for your garden. Home composting has never been easier, quicker or more fun than with the RollMix™ Composter!Simply add the specified mix of organic waste from the simple how-to instructions included on the reverse of the pack.The polyethylene fabric traps heat, and by adding water and rolling, it is possible to make your own compost within 6 weeks.With your rich, nutritious compost you can top up raised beds, add to the base of plants and even use as a peat-free potting compost. This is useful if you live in a rented property and don’t want a permanent long term compost container or have limited space. I can see this being incredibly useful – imagine turning out good quality home made compost every six weeks! Rolling this looks easier than turning a huge compost bin full of material.